Dresser Dimensions: What is the Standard Dresser Size? 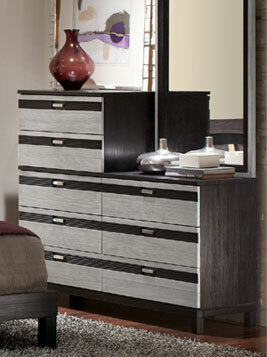 Dressers are an essential piece of furniture in any bedroom, improving organization and contributing to the decor. Design preferences, storage requirements, and space limitations can all help you decide which type of dresser will work best for your room. Start by using the average dresser height and size as a guide, then tailor your search to fit your specific needs. What Are the Standard Dresser Dimensions? A dresser is defined as piece of furniture with six to nine drawers that is roughly waist-high and wider than it is tall or deep. The typical, rectangular dresser usually measures about 60 inches wide, 20 inches deep, and 30 inches tall. However, dresser dimensions vary quite a bit. Because waist-high can mean different things to different people, dresser height can range from as low as 26 inches all the way up to 44 inches tall. The standard dresser height is usually between 30 and 36 inches. Based on room dimensions, storage needs, and styles that appeal to you, several types of dressers could work best in your bedroom. 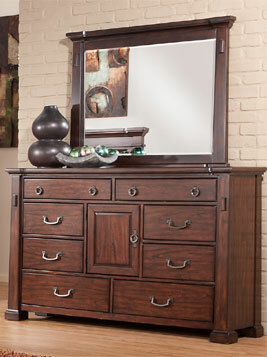 Combo dressers offer both a cabinet and traditional chest in the same piece of furniture. While they provide more storage options, the tradeoff comes in storage space, as they typically include less drawers than a standard dresser. For those that like a lighter, more minimal look, a bachelor's chest may be ideal. 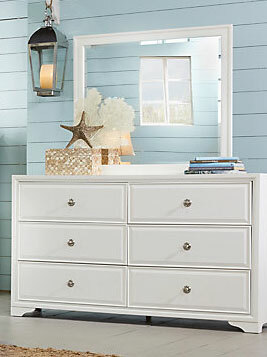 This piece features a narrow frame, a single column of two to four drawers, and a shorter silhouette than most dressers. Bachelor's chests can usually be placed under a window without obstructing the view, adding storage to an under-utilized area. In spaces with plenty of overhead clearance, there are also storage options taller than the standard dresser height. As suggested by their name, highboys are great for tall, narrow spaces. Height ranges widely, topping out at around six or seven feet. For more versatile storage with areas to both fold and hang clothes, try an armoire. The standard armoire has dimensions of about 60 inches wide, 17 inches deep, and 60 inches high, almost doubling the average dresser height while taking up about the same amount of floor space. Choosing the right kids dresser dimensions has its own considerations. Likely to last through several changes in cribs and beds, not to mention favorite colors and themes, dressers with timeless style are a smart investment. A dresser with a wide top at waist-height can also double as a changing table and save space in infants' rooms. However, be careful when picking dresser size. As babies grow into toddlers and young kids, they'll need more room to play. Keeping the dresser size proportionate to the space will open up the floorplan, especially in small rooms. While standard dresser dimensions leave plenty of space in most bedrooms, placing them correctly is key to keeping your room comfortable and functional. If you plan to have a mirror above your dresser, be sure to choose an open wall. Likewise, if your piece will stand along the wall near a closet or bedroom door, check that both the doors and dresser drawers can open and close with plenty of clearance. Leaving 10 to 12 inches between drawers and walls, doors, or other furniture should be sufficient. Shop for dressers.